Welcome to my breakfast. This is what I have come to call pantry eating. I have not been to the grocery store in a week and a half. I refuse to buy new groceries in an attempt to use up the many boxes of various grains that crowd my pantry and the stocks, proteins and numerous containers that are taking up my freezer. I am hoping to use, not throw away, the contents of my kitchen before I clear out. 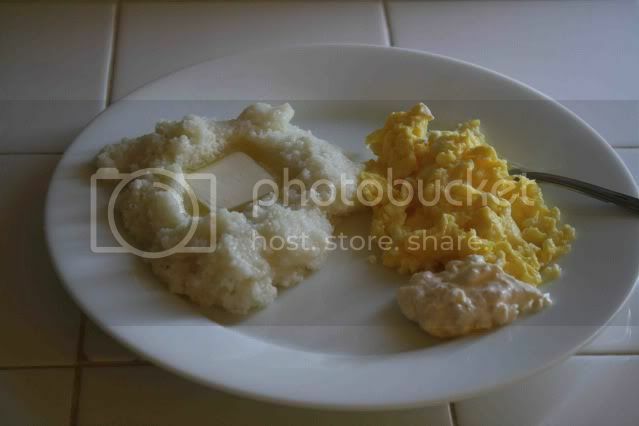 The picture is of the grits and eggs and that are quickly becoming a staple for breakfast. I wish I had something more elegant to show you or even a recipe to share, but it is just not in the cards this week. My kitchen is in boxes halfway to New York and I have done next to no cooking. Instead, my week has been filled with finding places to store boxes, trips to Goodwill and realizations that I really did not ever need so much stuff anyway. 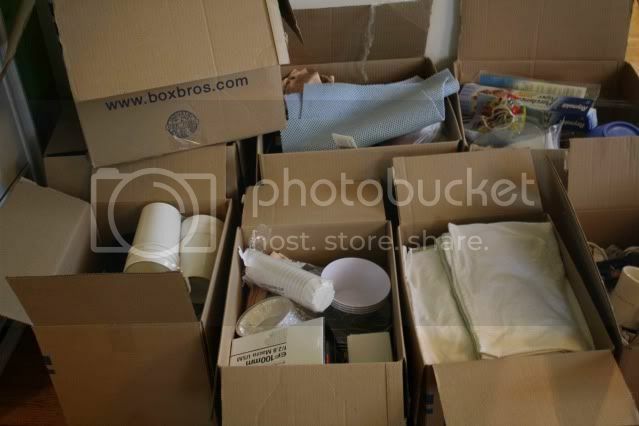 I think any move is a good time to go through your belongings and trim the fat, but a move to a small New York apartment will really show you how little you need to exist comfortably. Today is day four of official unemployment and as I awake to find that I have already found a home for every box and that most of my furniture is spoken for, I realize it is time to slow down and start to say my goodbyes to those I care about in Los Angeles. I am much better at the busy ‘doing’ rather than the slow and sometimes painful feelings associated with goodbye. Unfortunately, with no more boxes to move and only four days left in Los Angeles, I cannot avoid the goodbyes any longer. It's amazing how much stuff one can accumulate, isn't it? It does feel good to get rid of the extra clutter and start fresh after a move. Also, way to be organized! You're lucky you have four free days to spend time with your loved ones! But you haven't decided to leave for good, right. It's just goodbye, for now. More like see you later. Good luck with the goodbyes, those are always so hard. Good luck with the move. I think the hardest part is packing up and saying goodbyes. The minute you arrive in NY and get straight into a routine all will be good. Plus it's soo exciting that your going to culinary school. I can't wait to see what you will share with us here. I hate to move. God bless you girl, you just keep sharing whatever you've got. They do have cheese curds, so I'll survive! Hope you get settled in easily and I look forward to reading more of your blog.